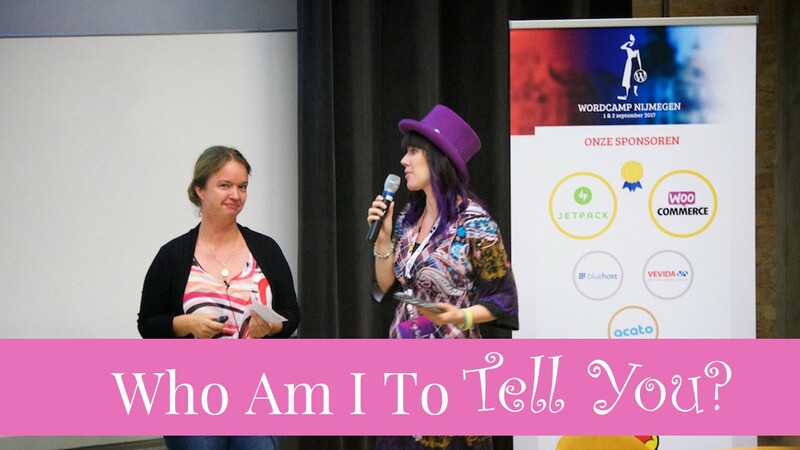 A few weeks ago, I got to teach the amazing people attending WordCamp Utrecht on “how to create buyer persona”. As you may know, this is a topic dear to my heart. One of my pet peeves actually. Once you are starting to get clear on who your ideal client is, creating content that shows them that you care, that you know your stuff and that you’re fun and easy to work with gets so much easier. A few days ago, the video was released, and I thought it would be smart to share it. It may help you get clear on your ideal clients, too. I’m not an experienced speaker yet. Can you tell? In order to organize my thoughts and decide what I want to share, I write out my presentation first. Once I am fairly confident I have something consistent, helpful and interesting, I reduce my prose to bullet points and slides. Below, you’ll find what I wrote to prepare for my talk. I have added the slides to illustrate each section. Who of you is a first-time WordCamper? And who of you feel slightly overwhelmed? Let’s give them a big hand people. Why? Because we’re the WordPress people and we want, you, especially you first timers, to succeed! We want you to feel welcome, we want you to grow. In knowledge, in confidence, and we would love for you to come hang out with us more often. And, we’dd love for you to get involved. So that we can continue to grow together. Who of you is a business owner? Who is in charge of marketing? Who of you is actively using buyer persona or ideal client profiles? Who of you is not very familiar with the term at all? So who wants to have more fun at work? • How they can help you grow your business and what’s maybe even more important, attract mainly those clients who make your workday fun. Challenging. In a good way. I already uploaded the slides and will link to them at the end, so sit back and relax until we’re ready to get to work, that is. I created my first website in 1999. My first WordPress website in 2006-ish. Attended my first WordCamp in 2014. In Miami. I was living in Curacao at that time. So that was closer by than Utrecht. I love to meet new people. I just love to hear their stories. 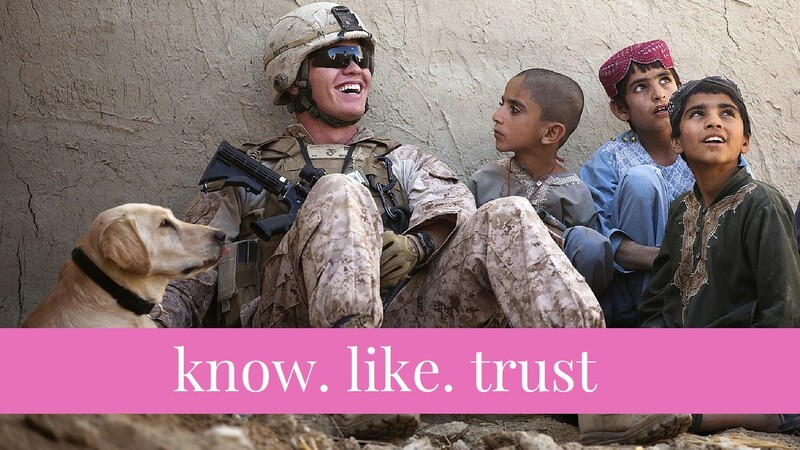 And I love to share their stories. That got me into content marketing after web development. People in general love stories. The emotion within stories helps people relate to one another. I am also very passionate about being helpful. I land most of my new clients by plain being helpful. And I am thankful to say that over the past 15 years, I have helped dozens of business owners living and working in The Netherlands, Curacao, Canada, the US and since two weeks ago New Zealand. 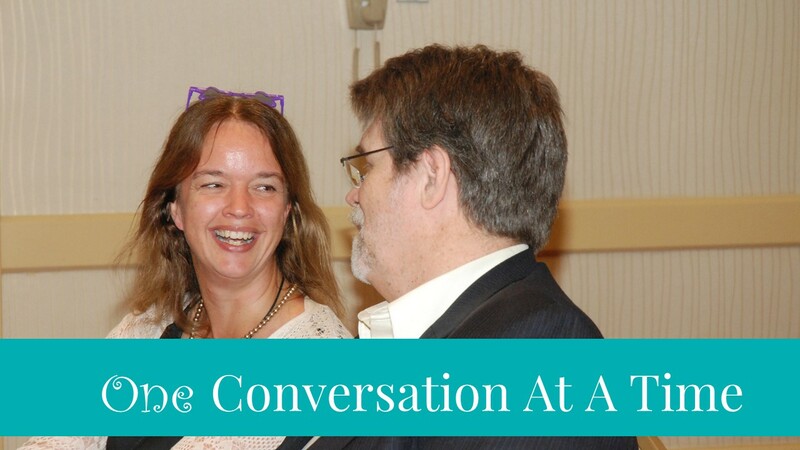 And along the way that’s how I discovered that I actually was building my business one conversation at a time. Here’s the pattern that happens. When you meet someone for the first time, usually the “so, what do you do”, question comes up, right? So typically you exchange questions about your job. And sometimes you just happen to meet someone who struggles with their website, their email marketing, their conversion rates. 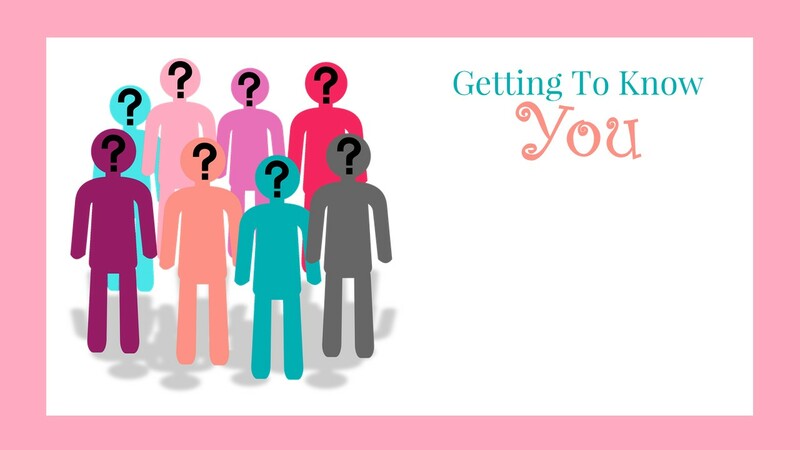 So you start asking a few questions to get a feel for what is causing their struggles. Tell them they are not the only ones struggling with that. Give them some sound advice. And before you know it, you have scheduled a meeting to discuss that further at their office. And that happens one conversation at the time. But what it the conversation gets out of balance? Or gives them the feeling “that mommy corporate marketer knows best”. Cause come on! Stop belittling me. But that is a whole other talk. Think will be easy and fun to work with? And Our market story overlap? This, again, would be an entire talk. But I wanted to show this, to put creating persona in perspective. What is a buyer persona? What is it not? Let’s first have a quick look at what a buyer persona is NOT. Disclaimer. This is not an exact science, the borders between these terms are slightly vague. My goal is to offer some perspective. While the division between these may not be exactly black and white, I hope to make it visual. And put things into perspective. 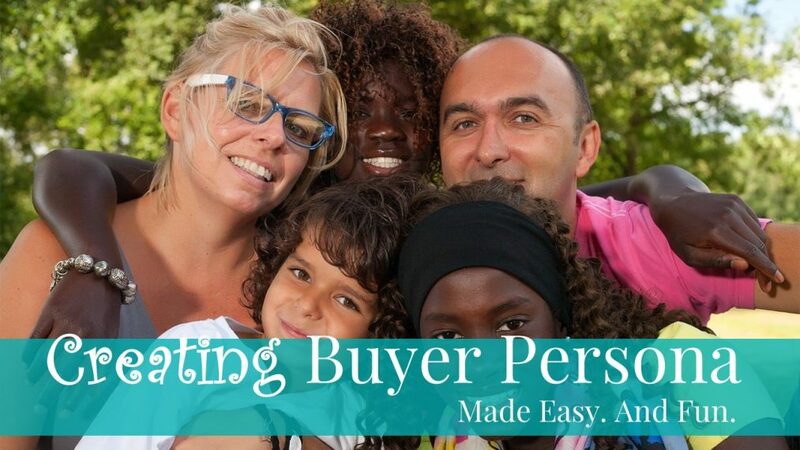 A buyer persona is not a target market. Rather it is a segment of a target market. A target market shares common characteristic, like for instance owners of web development agencies. But when you want to accomplish that a potential client starts feeling like you get where they are and want to be, you have the right mix of personality and expertise to help them get there, and are a delight to work with, using a target market is like shooting with hail into the air and hope a bird comes fallling down. A buyer persona is not the same as a market segment either. But we’re getting closer. A market segment is a more specific segment of a target market. A market segment also shares common dream, goals, fears and frustrations. For instance owners of web development agencies who have been in business for 5+ years, have 4-10 employees, and a revenue of 300K – 1MM Euros. This market segment may be frustrated by not being able to maximize productivity within the team. Or not being able create content that truly resonates with their leads and clients. To turn a market segment into a buyer persona, in my opinion, we need to take those characteristics, dreams, goals, fears and frustrations and turn those into a make-believe person. Lets do that and see what happens. Allysa Agency Owner is an energetic and creative 32-year-old lady. She juggles being a mom of 2 energetic toddler twins, wife of Sahid, a successful lawyer and avid golfer, daughter of two loving adventurous parents in their early 70s and friend of a bunch of other chatty gals, with running a mid-sized web development agency in downtown Utrecht. While they attract enough work from existing clients and word of mouth, they struggle to keep their head above the water, for 2 specific reasons. Going to work is like hanging out with friends. As a result, put productivity suffers, and profit margin as a result of that. Also, they would love to attract more clients from industries they are really passionate about. Like outdoor sports. If only they could find a way to write their content in a way that resonates with the owners of outdoor stores and outdoor event coordinators and outdoor sports locations. Do you feel the difference? All of a sudden, an image pops up in your head. You see the hipster office with the Macs, the fussbal table, the hammocks and the espresso machine. You see how there is too much play and not enough work. Ideas pop up into your head on how you would do that differently. And you feel both excited for Chelsey, for being able to grow her agency to that level, and empathy for her having to juggle all that. When does she even have time to breathe? 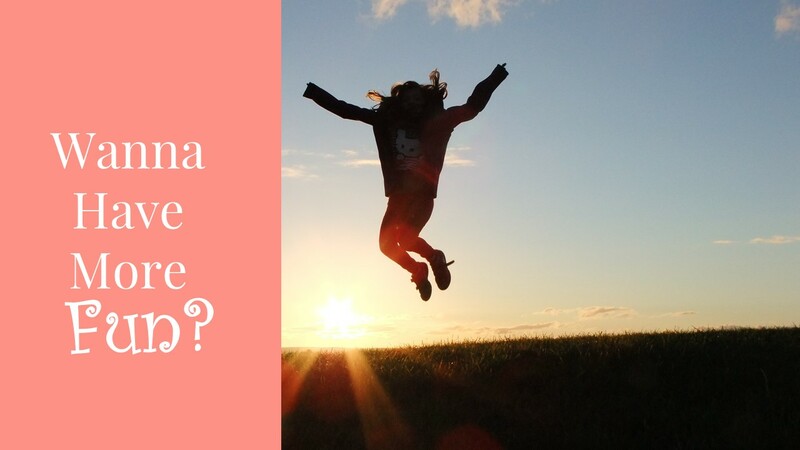 One of my clients a few weeks ago hit the nail on the head describing how the light turned on in her head: Now it’s like I’m writing an email to a friend, asking clarifying questions to help her discover what really matters. What she’dd like to get solved first. Explaining her what I’d suggest her to do first, why I think that. Share with her what she needs to look out for, what I would avoid. Before, I constantly had the voice of my former English teacher in my head, telling me to use more formal language. To use the right phraseology. Only to discover that that “right phraseology” was exactly why my content did not resonate with my at all. Why they felt belittled. Why they felt not heard. Before I go on, I am sending us on a rabbit trail. Because I think it is important. When I was preparing for this talk. I was doing some research on attention getters. One of the tips was statistics. Who of you gets excited about statistics? Thought so. Anyways, I did look op some statistics surrounding buyer persona. And there was this odd thing. Bare with me for a moment here. and a 100% increase in the number of pages visited. Why in the world do only 44% of Business to Business marketers actively use buyer persona? The answer is not that it is complicated. And I am not a published authority here. But this is what I think. I think it has to do with mindset. Especially when it comes to small to mmedium-sizedbusinesses. Because I think many business owners, like real humans, still have this common mindset mistake. “If I pinpoint my ideal clients, that means I have to say out loud that am actually good at this. The best? Will I need to write the ultimate guide to whatever it is that I do? What if I fail to accomplish what I promised. What if I disappoint? Will I get all kinds of nasty reviews? Will my friends think I am arrogant? I see the benefits, but actually….. I’m scared out of my pants to stake a claim like that? I’m scared. And I may not now yet. And the thing is. All those fears are what they are. Just fears. Like ghosts in dreams. Not reality. Just fears. And you know what works? Face the fears and do it anyways. Like I tell myself to do. All the time. It works people. It really works. Like standing here, I am facing one of my fears and do it anyways moments. I am standing here, sharing my experience with ideal clients. And mindset. Because I am passionate about it. Because I want to help others build a business that gives them the freedom and flexibility to earn a decent income, have fun while doing it, make the web and the world a better place and have plenty of time left to enjoy life. Is it perfect? Naaaah. Should it be? I’m not here to tell you exactly what to do. I’m here to spark ideas. To help you overcome obstacles. To come a step closer to being the best you possible. But in order to do that we have to let go of perfectionism. Because, have you ever finished a project without making a mistake, or two? Did your client forgive you when fixed the problem and when needed did something to make up for it? Did they continue to trust you? The fear of setting expectations to high, of disappointing is in your head. And you know what usually happens when you make a mistake? It makes you all the way more human. And it comforts people when you show up human. It makes you more accessible. And it gives others around you the permission to be imperfect too. We’ll end up with lots of meeeeeh clients and lots of meeeeeh projects. Who is ready to get started? In order to cook up a buyer persona, what Ingredients do we need? So that we use the right tone of voice. Easy enough to understand. Without becoming “momma marketer knows best” kind of language. If we are trying to sell a Lara Lawyer a CRM we would use different wording than if we’re selling a similar piece of software to Holly Hairdresser. Right? Where does Lara Lawyer or Holly Hairdresser hang out. Who does she ask for advice. What magazines do inspire her. What social media groups is she connected to. What business networks does she attend? In other words. Where can we meet her. Where can we hang out too, so that we get in touch. To be there for here. To be helpful whenever she needs that. I kind of made this one up. Because, even in this digital age, not everyone loves to hang out on Facebook, Snapchat or Twitter as much as we do. Some people really are concerned about their privacy. Don’t use Google services or a smart phone for that reason. And they DO have a point. Others just don’t adjust to newly available channels and devices. So you want to know about that. And offer these people, who may greatly benefit from what you have to offer, an easy way to learn about you, too. What I would like for you today, is to get home with a start, or some ideas on how to improve one of your buyer persona. We’ll start with what is in our heads. We’ll focus on Demographics and Psychographics for today. And I’ll explain you a way to do persona research and sales conversations at the same time. I really like the do one, see one, teach one way of teaching. We’ll start with easiest part demographics. Remember, we’re looking for things like gender, age, family situation, education, occupation, income or revenue. But only if relevant. If I’m selling a CRM app to real estate agents, kids may not be relevant. Or it may be. If you’re marketing to a working mom. Location may, or may not be relevant. I’ll leave that up to you. In our business Sonneveld & Goeijenbier, we help ladypreneurs who are looking to level up their business with seeing the real value of what they’re offering by helping them gain clarity with regards to what they would like their business to look like, who their ideal clients are, how to set challenging but achievable goals and how to keep overwhelm at bay by mapping out processes and creating checklists. I’dd like for you to grab a piece of paper. Start a new page in your note book. Open up a separate document in the device you’re using. Don’t forget to give it a name and save it to a smart folder right away. So, I would like you to think of your favorite product or service. What demographics do these clients have in common? What age range are they in? Are they highly educated? Have a vocational training? Are they typically from the same industry? If you’re marketing business to business. What position do they have within the business they are working for? Are they the owners, buyers, marketing managers? How large is the business they own, or they are working for? In terms of employees, revenue, budget for what you are offering. If you can think of one, give this ideal client a name. I like the cheesy version with alliteration, so that I can remember easily: Lara Lawyer, Hollie Hairdresser, Emily Establisher. If you’re ready to move on, do me a favor and look up and smile to me. So that I can see you’re ready. And to make me feel good. When it comes to marketing services like web development, content marketing, SEO, marketing automation etc, this document is really helpful. I am currently studying to become an InfusionSoft Certified Partner, and they have created this. It really helps me see where a business is in their journey and what their most urgent needs are. So when we move on to the Psychographics, I’dd like you to get started with a short, general description. When it comes to using your product or service. What is this ideal client trying to accomplish? Do that we are starting to get a feel for where our ideal client wants to be, lets have a look at where he or she is now. And what is frustrating about it. Here is Emily’s biggest frustration. Now, let’s dig a little deeper. Use phrases like the ones to the right, to come up with what your ideal client would say regarding where he or she is now, or where he or she wants to be. Here’s what Emily tells us. But for this one, I have left our Mr Icognito in place, so that you can use the thought starters. Unfortunately, time is too short now, to get you to teach one or coach one, too. May I suggest that you look around and see if you can partner up with someone for a few minutes later today, to review what you have so far and give each other maybe some more ideas? When working on this presentation, I had many ideas bubble up, and one of them was this one. • We would help potential clients become aware or more aware of what they are trying to accomplish and why, and what they are trying to avoid and why. • That by itself may nurture their sense of urgency. And guess who is available to help? • In addition to that, you create a “before” picture that is awesome to repurpose into a case study later on. • And, you now have lots of input for language to use when creating content. Do you think prhases like those will resonate with other leads matching this particular ideal client profile? Before I start answering questions, if you’dd like to stay in touch, this is where you’ll find me. The link gets you to a page with the slides and some additional resources to keep improving your buyer persona. Yvette Sonneveld is an all-round inbound marketer specializing in the real estate and financial services industries.